If lingering doubts about the true ephemerality of ephemeral messaging apps like Snapchat, Frankly etc. is what’s stopping you from using these messengers, then, you should probably try out Wickr. Wickr is an ephemeral messaging app that promises military grade encryption which essentially means that all your private messages are encrypted and even when intercepted can’t be read by anyone else other than the receiver. Let us not waste any more time and get into the details of this amazing ephemeral messaging app. 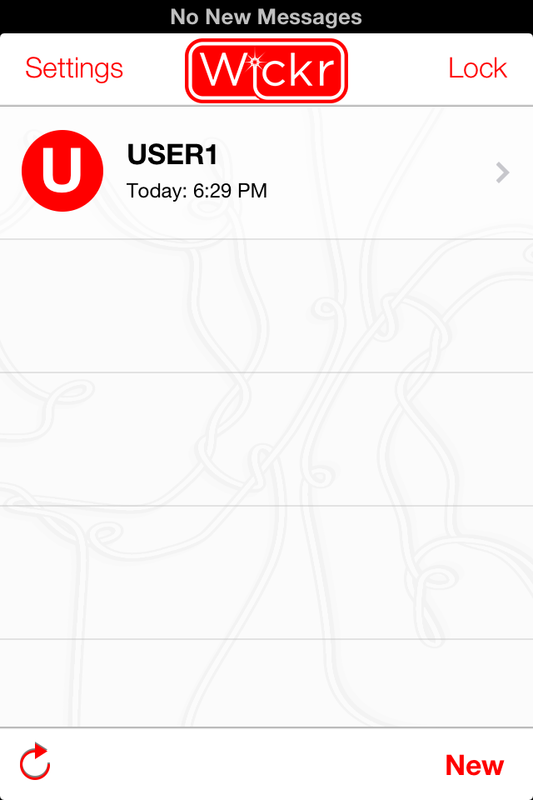 We get the feel of Wickr’s security right from the time we create our username. It’s an absolute necessity that we remember our password by heart since there is no way to retrieve lost passwords on Wickr. Wickr doesn’t store its users’ passwords on its servers, so, the passwords can’t be retrieved by mail or anything whatsoever. A lost password means you have to abandon your account and create a new account. After we get through the process of creating username and password, Wickr takes a few seconds to secure your device by creating secure local environment. Once this setup is complete, the user is taken to the inbox which also serves as the home screen. The home screen has a simple and easy to use interface which is pretty self explanatory. You can associate an email id and phone number with your Wickr id. This makes it easy for your friends to find you on Wickr by searching your mail id or phone number. Any one on your device’s contact list using Wickr can be added to your friend list or you can send them an invite to join Wickr. Wickr has the ability to send self-destructing texts, images, videos and voice messages. The time after which the messages automatically self-destruct can be set anywhere between one second and six days. One amazing ability of Wickr that gives it an edge over competing ephemeral messaging apps is that you can link Dropbox and Google Drive files in your messages. You can choose to use Wickr on a single device or multiple devices. It is preferable that you do not choose the single device option as losing your device or re-installing the app will require you to create a new Wickr id. Wickr also gives you the ability to block your annoying friends. The features that truly distinguish Wickr from other ephemeral messaging apps are its security features. Wickr has taken utmost care to protect the ephemeral nature of the messages sent over it. All messages sent over Wickr are encrypted using AES256,ECDH521 and RSA4096 TLS. The messages are completely secure and can only be decrypted using the keys available with the receiver. Any metadata (like location, time etc.) related to the message are also deleted from the servers once the message self-destructs. Wickr also uses a secure shredder which makes it impossible to recover deleted messages from your local device. This is a particularly important security feature considering the fact that it is quite easy to recover deleted messages from your local device. Wickr collects no private information from its users and only user ids are stored on Wickr’s servers. It doesn’t store neither the users’ personal information or their contact list. All the features mentioned above take Wickr way ahead its rivals in terms of security and instills confidence among its users about the ephemerality of their private messages. Wickr is for people who value their privacy and are looking for a secure way to communicate with others. 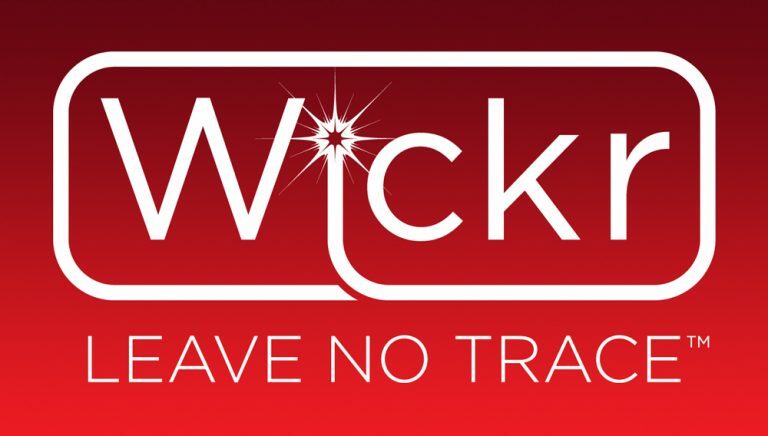 Have you used Wickr yet? If yes, what do you feel about this secure self-destructing messaging app? On basic level – sending and receiving instant messages reliably – works just fine and does everything I need. Security is the big advantage over other apps. Like the review says, they can’t reset your password because they don’t have it – only you have it. The message is encrypted before it leaves your device and they can’t read it or give it to anyone else – they don’t have the password/key. Unlike some apps (e.g. Telegram) it does not upload all your contacts to their server – you can do that if you want to make it easier for you to find your friends, but you choose. You don’t even have to give them your own email or mobile number, again unlike most of the other message apps. If security is an issue for you, then this recommended. I’ve used Wickr allot in the past myself and yeah it’s a great product I have to say. But I ended up getting something more permanent with a small start-up business called Wise Corp Limited in the UK. They had betas going around and after talking with them I got a secure mobile platform and use if their VoIP and other options. However it is a paid service but it’s top notch. Beats the BlackPhone and Silent Circle hands down too as I’ve had one of their offerings in their past. But it’s what you make of it I guess. With Wickr you can take screen shots, a few seconds is plenty of time for that, leaves images and communication up for grabs, if the receiver chooses to share. I have not had a problem but figured it out pretty quick. Not all that secure! with anything just like snapchat, it’s the trust you have with the person receiving. it’s anyone in between that I would rather not have snooping…. Why can’t you have musltiple id’s?